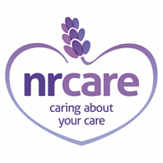 NR Care provides reliable homecare in Norwich and across Norfolk for adults with basic and more complex needs. We aim to give choice and independence to our service users. Being an independent company means our priority is always maintaining a high standard of person-centred care. We understand that there is no ‘one size fits all’. Our homecare is tailored to the needs of the individual; whether that means giving you a little help with everyday jobs like cooking and cleaning, or helping you wash and dress. Our services can either be self-funded or paid for by Norfolk County Council. Whatever support needs you have, our team will work with you, enabling you to live independently in the comfort of your own home. We’ll get to know you before creating a home care plan together. After you get in touch with us, a member of our team will arrange to visit you for an informal chat about what you need and want from your homecare. We will then carry out a full assessment. Our Care Plan document, which we specifically developed in-house, is a detailed form with all the information we’ll need. As well as important medical information, we’ll ask about you and the things that are important to you. We don’t believe homecare should just be about meeting your practical needs. We’ll work with you to draw up a bespoke homecare plan, giving you as much control as possible over the choices you can make. Whether you need short term help after a hospital stay or something more permanent, our team can make day-to-day living easier and help you to work towards your goals. As well as working with you in your home, we can also create a specialist plan for a one-off requirement; this could be anything from a day trip to a holiday that you need some support to go on. UKCareGuide.co.uk offers tips on choosing the right Homecare agency, click here to find out more. We have a lot of experience in elderly care; most of our service users are older people. When company directors Rebekah and Nathan founded NR Care, it was around the ethos of providing the kind of care they would want their parents to have. They were onto an important point – in October 2014, the Care Quality Commission developed the ‘mum test’, meaning that health inspectors consider if they would be happy for their parents to use a care service before giving it a rating. Providing this kind of elderly care is something we do every day, and have done since the beginning. At NR Care, we understand that living with dementia can have a profound impact on a person and the people who care about them. We believe that high quality dementia care should look at the whole person, not just the dementia. Every new staff member receives a full induction when they join NR Care, even if they are already an experienced care worker, and dementia awareness is an integral part of this training. As well as ensuring everyone in our organisation has a basic understanding of dementia care, we are supporting two of our staff to receive specialist dementia care training with the Norfolk and Suffolk Dementia Alliance. When someone is approaching the end of their life, they may not want to move into a hospice or care home. Supporting people to remain at home during the final months and weeks of their life is something we are passionate about. We take some referrals for end of life care from the Priscilla Bacon Centre for Specialist Palliative Care Services, who we have a longstanding relationship with. Providing end of life care that reflects individuality, choice and dignity is one of the most important things we do. We take a holistic approach to end of life care, taking into account a person’s physical, spiritual and emotional needs, supporting their loved ones and signposting to relevant local services that can provide additional support. If you or someone in your life could benefit from our care services, get in touch with us. Call us on 01603 407976 or email admin@nrcare.co.uk and we will send you a free brochure explaining our services in full detail.